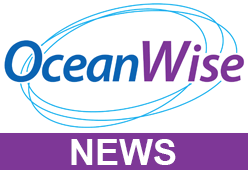 OceanWise, in co-operation with IMarEST, will be running its next One-Day Marine Data Management Awareness Course at IMarEST HQ, 1 Birdcage Walk, London, SW1H 9JJ on Wednesday 8th February 2017. Back by popular demand, this event will introduce attendees to Data and Why It Matters? Subject covered will include the Data Life-Cycle, Data and Metadata Standards, Co-ordinate Reference Systems and Data Quality and Publishing. The day concludes with a discussion on the challenges organisations face in achieving Data Management “Best Practise”. Data is the new oil or the new electricity! It costs money so we collect it for a reason. Because it is such a valuable asset – only company employees are more valuable – it needs to be treated accordingly. If you are involved in collecting, managing and / or publishing marine data, then this course will provide you with a valuable insight on the world of data. Discounts are available for attendees representing IMarEST partner membership bodies.